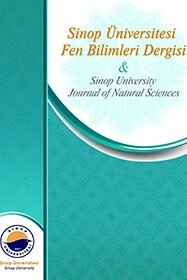 Sinop University Journal of Natural Sciences (SUJNS) is an international peer-reviewed scientific journal since 2016 by Sinop University. SUJNS is published twice a year. Submitted manuscripts will be sent to suitable reviewers after the editorial preview. SUJNS publishes original studies submitted in all areas of engineering and natural sciences. To submit a manuscript to SUJNS, please click Submit a Manuscript. Sinop University Journal of Natural Sciences publishes fully open access articles, which means that all articles are available on the internet to all users immediately upon publication. There is currently no article processing charge (APC) and no article submission charge (ASC) for articles.